Baked with a touch of honey. Bakery fresh. 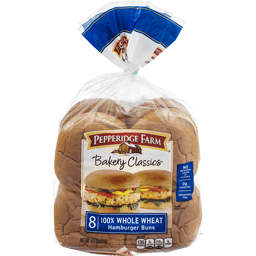 Per 1 Bun Serving: 160 calories; 0 g sat fat (0% DV); 290 mg sodium (13% DV); 5 g total sugars. Quality Guarantee: We are committed to providing you with quality products and welcome your questions and comments. Call 1-800-984-0989, Consumer Relations Department. When writing, please include the proof-of-purchase (bar code) and stamped date code. www.ballparkbuns.com. Union made. No artificial color or flavors. 0 g trans fat per serving. Cholesterol free. 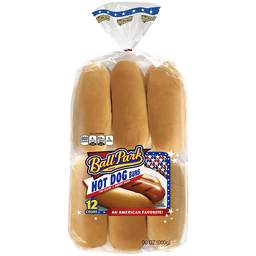 Per 1 Bun: 150 calories; 0.5 g sat fat (3% DV); 220 mg sodium (9% DV); 4 g sugars. Low fat. Cholesterol free. 0 g trans fat. Timeless and without pretense, our Bakery Classics stand for quality. With premium ingredients, perfectly orchestrated with a baker's touch. 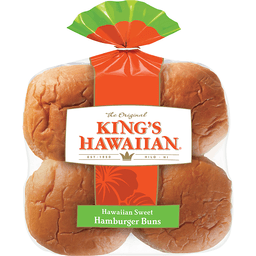 Make your barbecues a little more special with our delicious buns. We hope you agree that our bakers have created a delicious, premium quality bun. 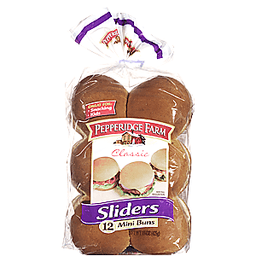 Visit our website at www.pepperidgefarm.com. Labels for Education. Baked with a touch of honey. Freshly baked. 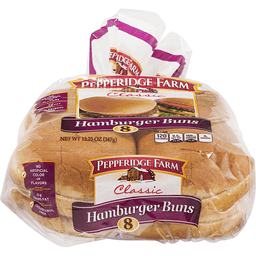 Per 1 Bun Serving: 140 calories; 0 g sat fat (0% DV); 220 mg sodium (10% DV); 5 g total sugars. Quality Guarantee: We are committed to providing you with quality products and welcome your questions and comments. Call 1-800-984-0989, Consumer Relations Department. When writing, please include the proof-of-purchase (bar code) and stamped date code. www.ballparkbuns.com. Union made. 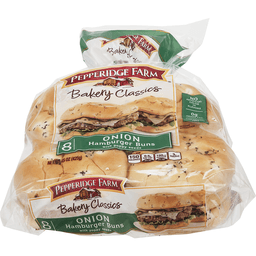 Pepperidge Farm® Bakery Classics Onion Hamburger Buns. With poppy seeds. 8. Timeless and without pretense, our "bakery classics" stand for quality. With premium ingredients, perfectly orchestrated with a baker's touch. Make your barbecues a little more special with our delicious buns. We hope you agree that our bakers have created a delicious, premium quality bun. No artificial color or flavors. 0g trans fat. Cholesterol free. 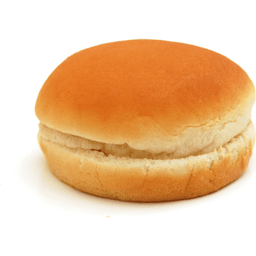 Per 1 bun. 150 calories. 0.5g sat fat, 3% DV. 190mg sodium, 8% DV. 3g sugars. If you have any questions or comments, please call us toll free at 1-888-737-7374. Visit our website at www.pepperidgefarm.com. No artificial color or flavors. 0 g trans fat per serving. Cholesterol free. 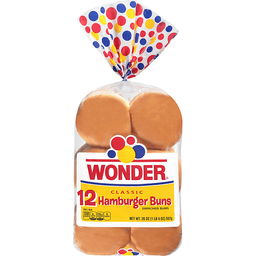 Per 1 Bun: 140 calories; 0.5 g sat fat (3% DV); 210 mg sodium (9% DV); 4 g sugars. Low fat. Cholesterol free. 0 g trans fat. Timeless and without pretense, our Bakery Classics stand for quality. With premium ingredients, perfectly orchestrated with a baker's touch. 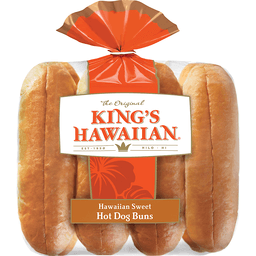 Make your barbecues a little more special with our delicious buns. We hope you agree that our bakers have created a delicious, premium quality bun. Visit our website at www.pepperidgefarm.com. Labels for Education. No artificial color, or flavors. 0 g trans fat. Cholesterol free. 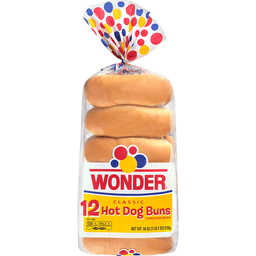 Per 1 Bun: 130 calories; 0 g sat fat (0% DV); 210 mg sodium (9% DV); 3 g sugars. Timeless & without pretense, our Bakery Classics stand for quality. With premium ingredients, perfectly orchestrated with a baker's touch. 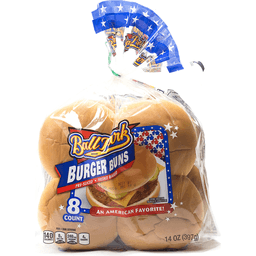 Make your barbecues a little more special with our delicious buns. We hope you agree that our bakers have created a delicious, premium quality bun. Grill with Grains! One bun = 1-1/2 whole grain servings (1-1/2 ounce equivalents). The 2010 Dietary Guidelines for Americans recommend eating 3 once-ounce equivalents of whole grain foods every day (based on a 2,000 calorie diet). You'll get 50% of that amount in one Pepperidge Farm 100% Whole Wheat Hamburger bun. Visit our website at www.pepperidgefarm.com. Labels for Education. Low fat. Cholesterol free. 0 g trans fat. No artificial color or flavors. 0 g trans fat per serving. Cholesterol free. 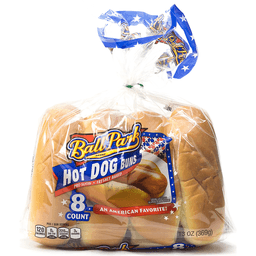 Per 1 Bun: 100 calories; 0 g sat fat (0% DV); 140 mg sodium (6% DV); 3 g sugars. Timeless and without pretense, our Bakery Classics stand for quality. With premium ingredients, perfectly orchestrated with a baker's touch. 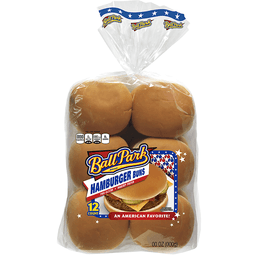 Make your barbecues a little more special with our delicious buns. 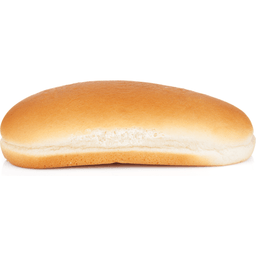 We hope you agree that our bakers have created a delicious, premium quality bun. If you have any questions or comments, please call us toll free a 1-888-737-7374. 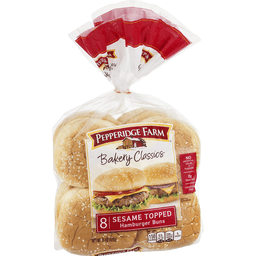 Visit our website at www.pepperidgefarm.com. Low fat, cholesterol free, 0 g trans fat.